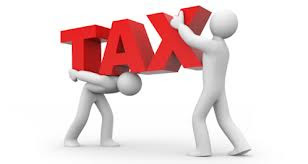 As election is approaching, It is expected that government will increase the tax exemption limit.Recently,reported by a reknown news paper most of the leaders demanded from finance minister to increase the Tax Exemption limit in coming budget. According to the survey conducted by a reknown organization recently,Salaried class employees had demamnded to raise the income tax exemption limit to at least Rs 3 lakh and increase deductions like medical and educational allowances in upcoming budget. The survey was conducted in the major cities of India about the Common man expectation from the upcoming budget. Maximum percentage of people said that tax exemption limit is not lined up with the current inflation and it should be increased to at least 3 lakh for men and 3.5 lakh for women. Also most of the people demanded to increase the tax exemption limit of medical benefits from 15000 to 50,000 with alignment of increasing the healthcare costs. Most of the people was agreed to increase the tax exemption limit of transportation allowance from 800 to 3000 as this had been fixed a decade ago and now communication cost has increased a lot.